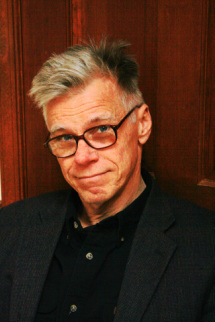 Phillip F. Schewe is a physicist, writer, and photographer. He is the author of two books: Maverick Genius and The Grid. For many years he worked at the American Institute of Physics, where he served as one of the nation’s leading popularizers of physics---running press conferences (including debut results that later resulted in numerous Nobel prizes), writing Physics News Update (a weekly newsletter) for 18 years, annual reviews of top physics stories, pieces for "Inside Science," and news items for Physics Today magazine. He also worked at the Joint Quantum Institute at the University of Maryland, and served as the writer in residence at the Kavli Institute of Theoretical Physics (UC Santa Barbara) beginning in January 2016. He has written many articles for magazines and newspapers, including the New York Times, Washington Post. A once and future playwright, PFS has written plays on a variety of topics. Some of the plays have been performed over the years in New York and Washington, DC. PFS grew up in the Chicago area. Education: PhD in physics: Michigan State University. Area of research: particle physics; work carried out at Fermi National Accelerator Lab, studying high-energy particle smashups. This research helped establish the existence of gluons. BA in English: MSU. Studies concurrent with graduate physics research. MS and BS in physics: University of Illinois. Spring semester 2014: PFS taught a course at the University of Maryland called "Great Physicists of the 20th Century." TV work/Movies. In 1998 PFS worked with British director Adrian Malone (producer of "The Ascent of Man" and "Cosmos") on a sequel to "Ascent of Man" for HBO. The show was never filmed.